River Island do the best jeans. I own several pairs of Amelie and Molly jeans. We all have too many blue jeans but what if they had a twist? Pearls are my favourite embellishment right now and I love these Pearl Embellished Jeans HERE. 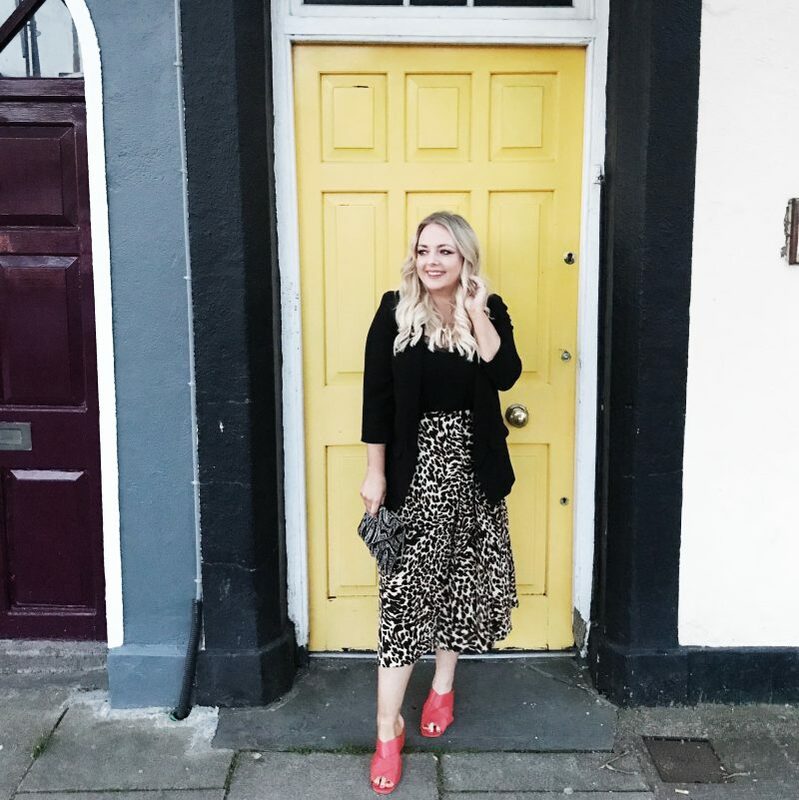 Basic trousers are a wardrobe essential. 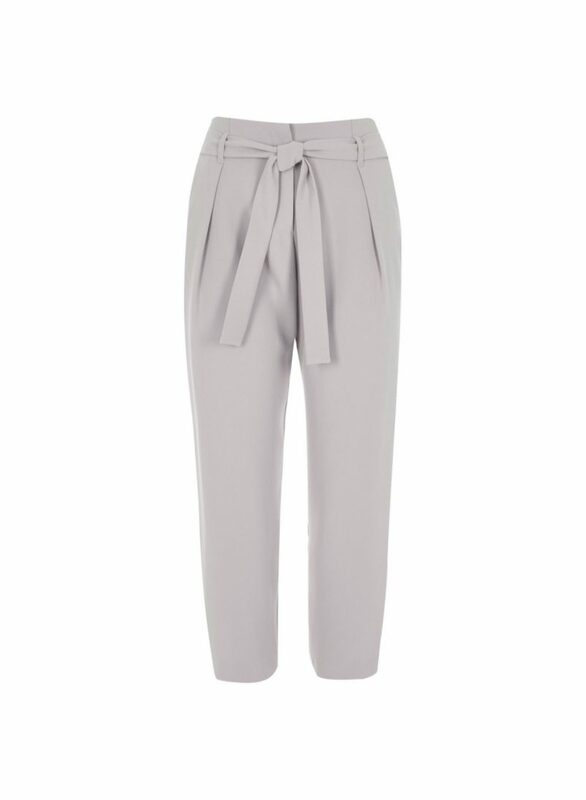 A high waisted trousers can really flatter a Mummy tummy. I have these trousers in several colours and I love them. I’ve ordered a grey pair HERE. My husband calls me a magpie! 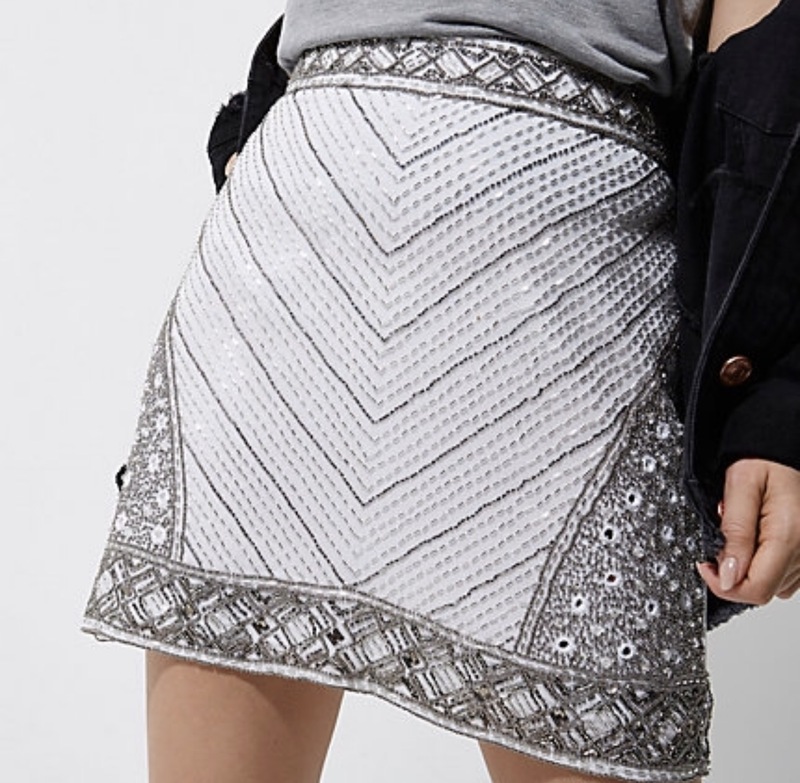 It is obvious why when I love skirts like this white embellished one that you can buy HERE. I think this will take you right up to the Christmas season! I love the variety of tops you can buy in River Island. Unlike other stores that I won’t name, they seem to cater for us ladies with a chest or a tummy! 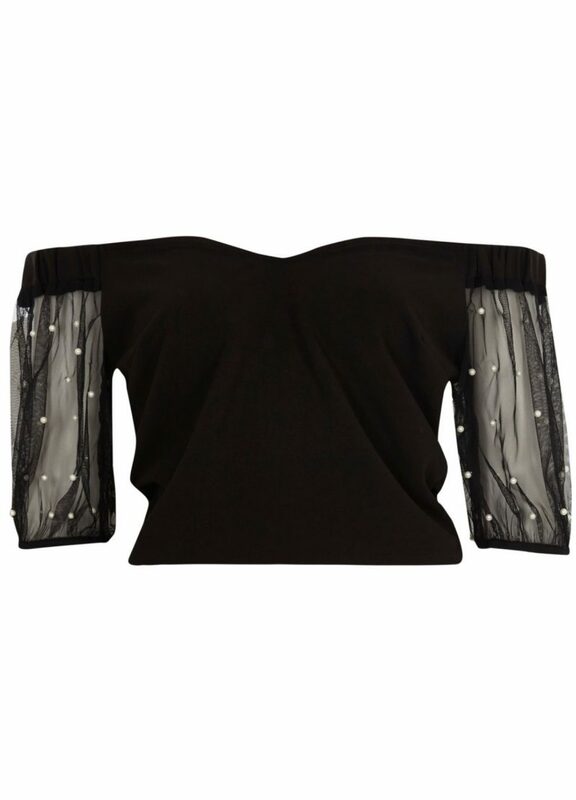 This bardot top has the most beautiful sleeve detail. It will go with jeans, all skirts and trousers. A great little addition to any wardrobe. You can buy it HERE. I loved both the colour and the design of this red top. 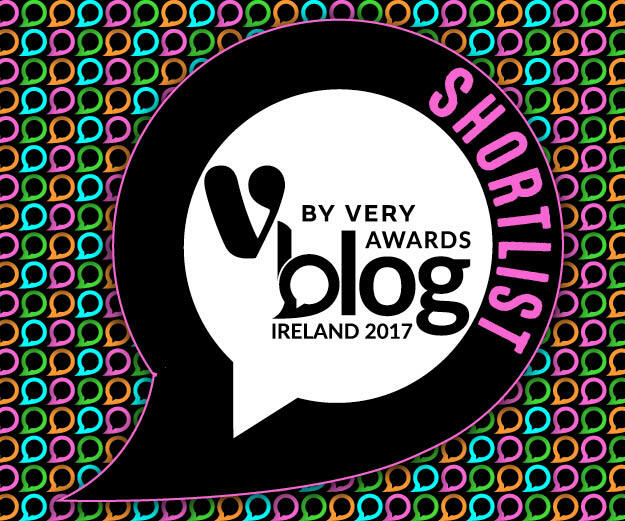 I think it will be amazing dressed up or dressed down. It comes in white and black also. You can shop it HERE. Embroidery doesn’t seem to be going anywhere. 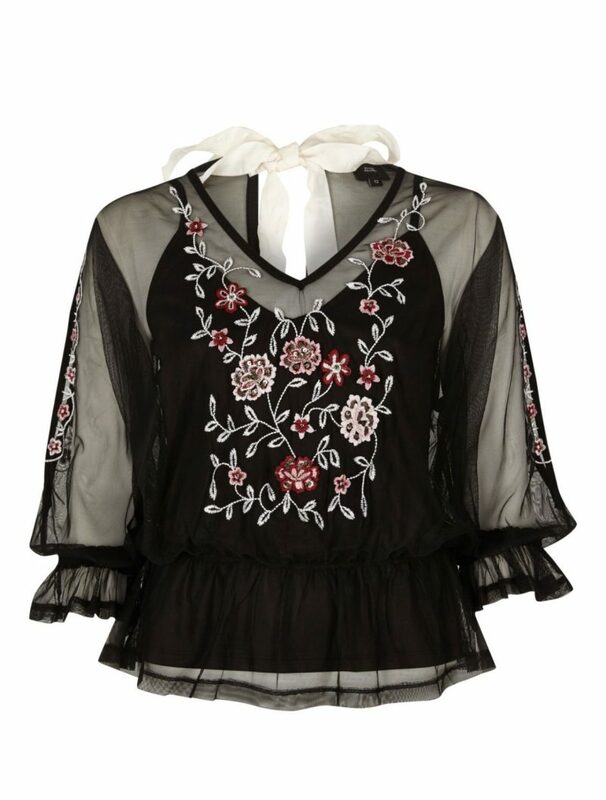 I have a love for it, especially when the detail is as beautiful as this black number. Shop it HERE. I am a loafer addict! I can not resist the comfort. 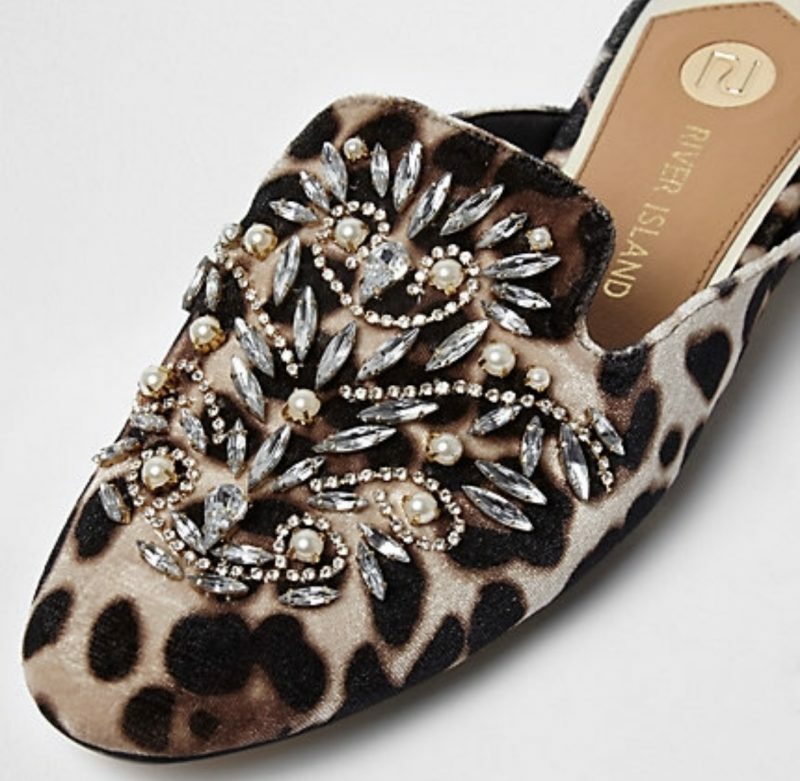 When I saw these embellished leopard print loafters on sale, I had to have them! Shop them HERE. 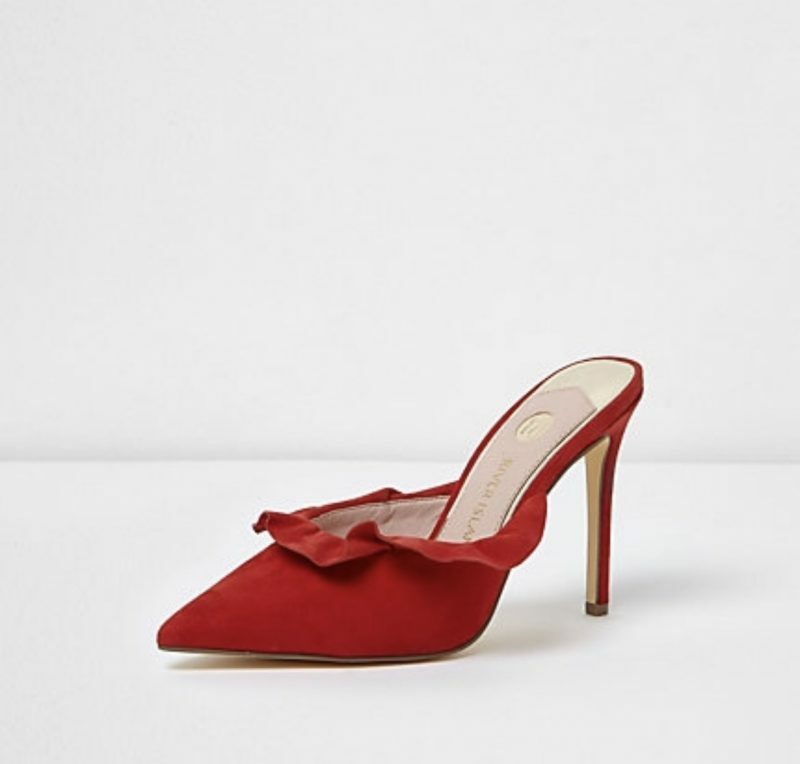 Can you cope with these red shoes? The minute I saw them I had to own them! 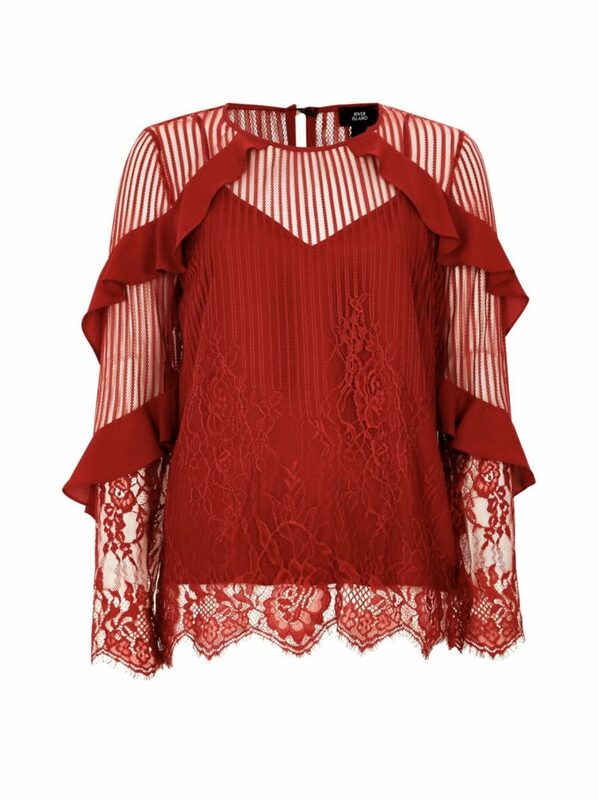 The frill detail is so beautiful and they will jazz up any outfit for Autumn and Winter. Shop them HERE. 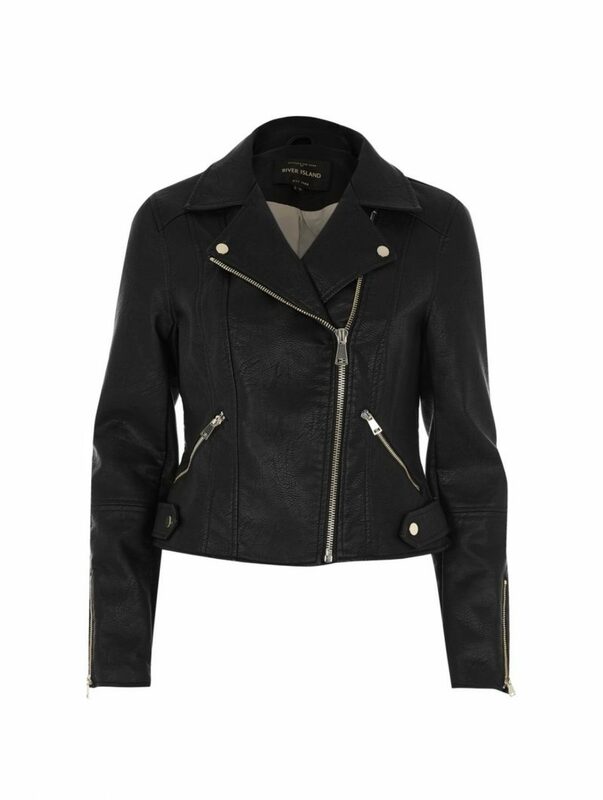 Finally, no wardrobe is complete without a faux leather jacket. I already have this one in brown leather and it is the perfect fit. I have wanted the black version for ages! Using my 25% off I grabbed this HERE. So that is it you guys! Did you get your 25% discount? What did you buy? 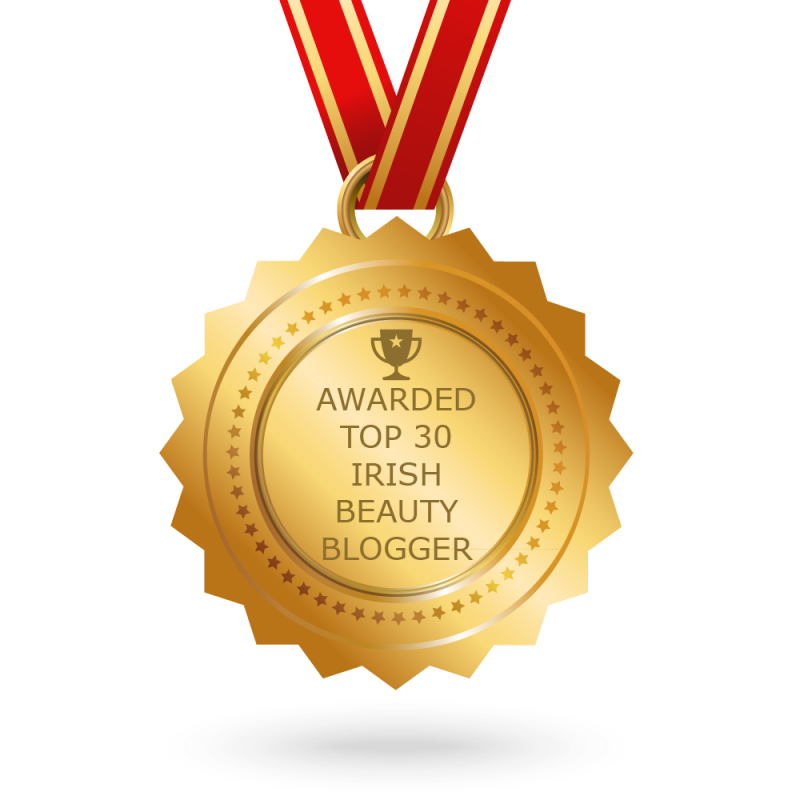 Next Post ELF Cosmetics : Most Disappointing Products?